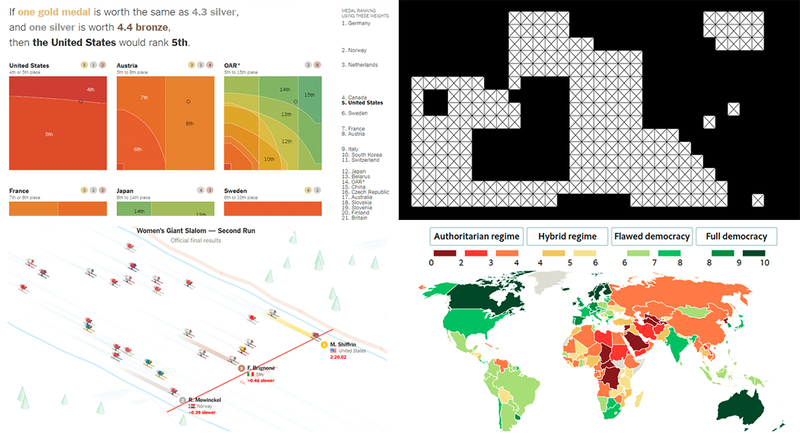 A lot of new charts and infographics on various subjects appear every day, and we are keen to keep sharing some interesting new data visualization project examples in DataViz Weekly. In fact, such things can really serve well for inspiration, to learn more about the world around us or just for fun, which is all good. “Numbers have an important story to tell. They rely on you to give them a clear and convincing voice,” Stephen Few once said. 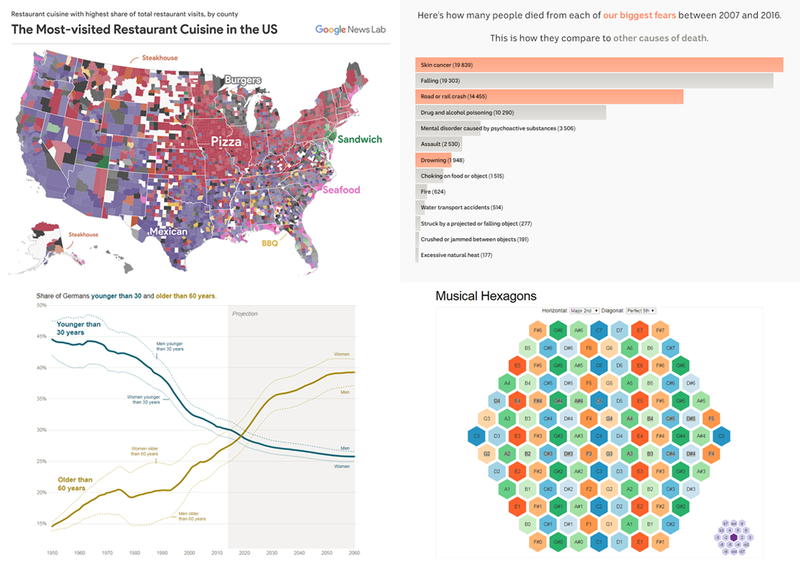 We are glad to share with you several new cool data-driven storytelling examples that nicely demonstrate how the appropriate visualization can make data speak. women’s giant slalom race at the 2018 Olympics. 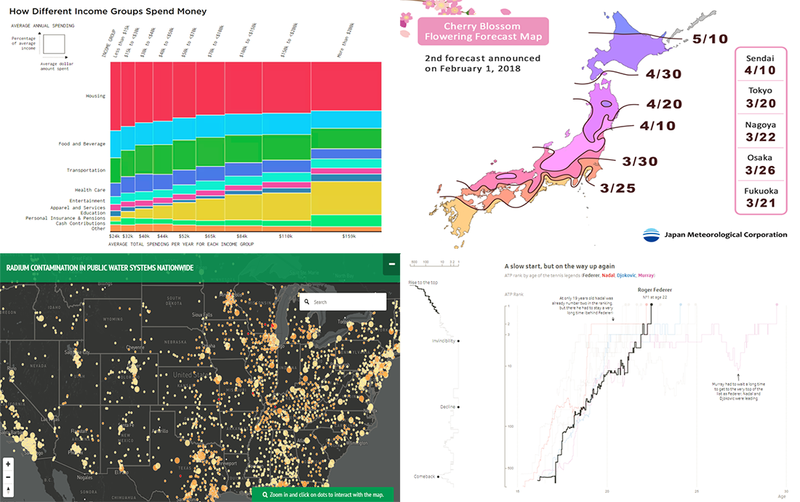 Another week is about to end, and another four interesting data visualization based story examples are waiting for your attention. 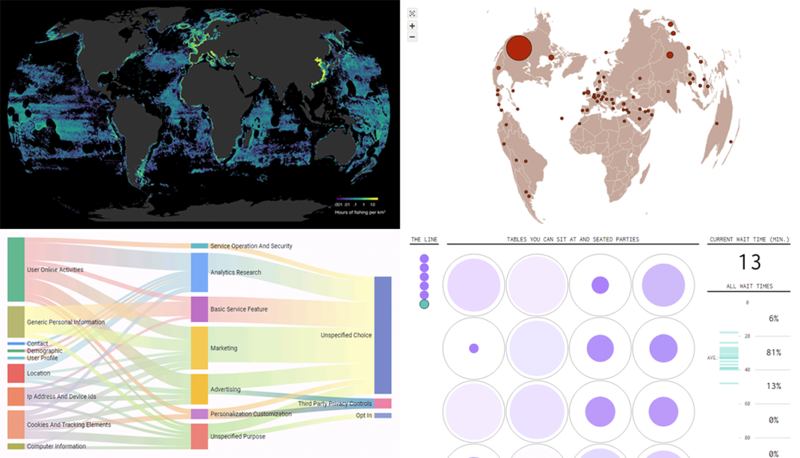 Data Visualization Weekly is back to the AnyChart blog! Roger Federer’s tennis career and success. More, more data visualizations now! We’ve made up a new collection of interesting charts and infographics of the latest time. 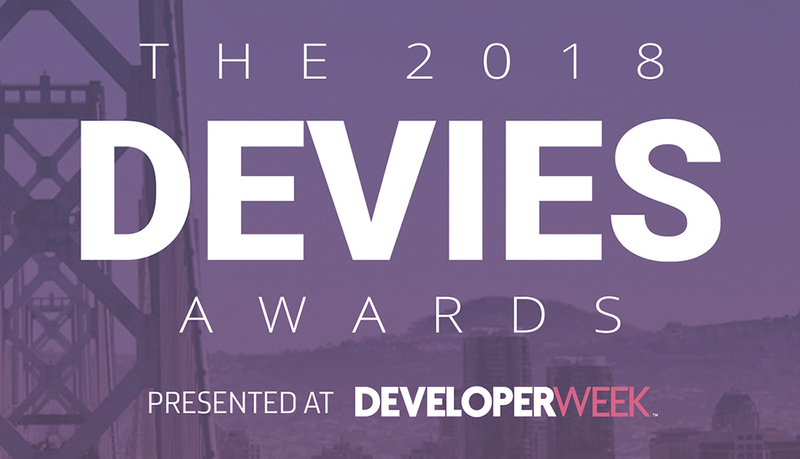 Take a look at this new issue of Data Visualization Weekly!